Armonk, N.Y., USA - May 29, 2012 - IBM (NYSE:IBM) today announced it has completed the acquisition of Vivisimo, a leading provider of federated discovery and navigation software that helps organizations access and analyze big data. Financial terms were not disclosed. Every day, we create 2.5 quintillion bytes of data - so much that 90% of the data in the world today has been created in the last two years alone. This data is big data. IBM (NYSE:IBM) today announced it has completed the acquisition of Vivisimo, a leading provider of federated discovery and navigation software that helps organizations access and analyze big data. Financial terms were not disclosed. Vivisimo software automates the discovery of big data, regardless of its format or where it resides, providing decision makers with a federated view of key business information necessary to drive new initiatives. Vestas Wind Systems use IBM big data analytics software and powerful IBM systems to improve wind turbine placement for optimal energy output. The combination of IBM and Vivisimo software accelerates IBM's big data initiatives to help clients analyze the volume, variety, and velocity of big data for strategic advantage. IDC estimates the market for big data technology and services will grow at an annual rate of nearly 40 percent to reach $16.9 billion by 2015. “Turbine sites based on data from 35,000 meteorological stations worldwide”. IBM is uniquely positioned to address this opportunity with the industry's broadest portfolio of capabilities including software, hardware, services, and innovations developed by IBM Research such as stream computing and IBM's Watson system. "Game-changing insights are locked inside big data and clients want an easier way to unlock their full potential," said Arvind Krishna, general manager, Information Management, IBM Software Group. "This acquisition of Vivisimo will help clients uncover new data and combine it with existing information assets for analysis that leads to smarter business decisions. No other vendor provides this depth and breadth of information management and analytics for big data." Vivisimo will be integrated into IBM's big data platform which can analyze any data in motion or at rest. The platform enables clients to develop a new class of applications that perform advanced analytics on data in their native form, optimize workloads, and apply security and governance to big data. Vivisimo has more than 140 clients in industries such as government, life sciences, manufacturing, electronics, consumer goods and financial services. Clients include Airbus, U.S. Air Force, Social Security Administration, Defense Intelligence Agency, U.S. Navy, Procter & Gamble, Bupa, and LexisNexis among others. Vivisimo brings over a decade of experience and innovation in data navigation technologies for big data. The technology is distinguished by its unique index and search capabilities that uncover data from multiple repositories, making it valuable to clients in any industry. With the closing, approximately 120 Vivisimo employees will join IBM's Software Group. IBM will incorporate Vivisimo technology into its big data platform and sell Vivisimo products individually. Arvind Krishna is General Manager of IBM’s Information Management Software Division which includes database, data warehouse, information integration, master data management, integrated data management and associated software. 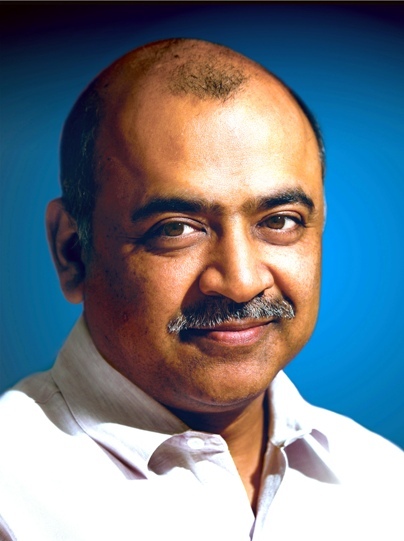 Dr. Krishna is responsible for the revenue, development, strategy, and ecosystem of the Information Management business, a multibillion dollar market. Previously, he was the Vice President of Strategy for IBM Software Group. He has held many key roles in both IBM Software and IBM Research including pioneering IBM’s security software business. He has an undergraduate degree from the Indian Institute of Technology, Kanpur and a Ph.D. from the University of Illinois at Urbana-Champaign. He is the recipient of a distinguished alumni award1 from the University of Illinois, and is the co-author of 15 patents. Ginni Rometty is President and Chief Executive Officer of IBM. Ms. Rometty was appointed to these positions effective January 1, 2012. Ms. Rometty began her career with IBM in 1981 in Detroit, Michigan. Since then she has held a series of leadership positions in IBM, most recently as Senior Vice President and Group Executive, IBM Sales, Marketing and Strategy. As IBM’s global sales leader, she was accountable for revenue, profit, and client satisfaction in the 170 global markets in which IBM does business. She was responsible for IBM's worldwide results, which exceeded $99 billion in 2010, and for leading IBM’s global strategy, marketing and communications functions. In this role, she established IBM’s Growth Markets organization, which is expected to contribute as much as 30 percent of IBM revenues by 2015. Prior to this, Ms Rometty served as Senior Vice President, IBM Global Business Services, where she led the successful integration of PricewaterhouseCoopers Consulting. This acquisition was the largest in professional services history, creating a global team of more than 100,000 business consultants and service experts. In this role, Ms. Rometty also led the development of IBM Global Delivery Centers in China and India. 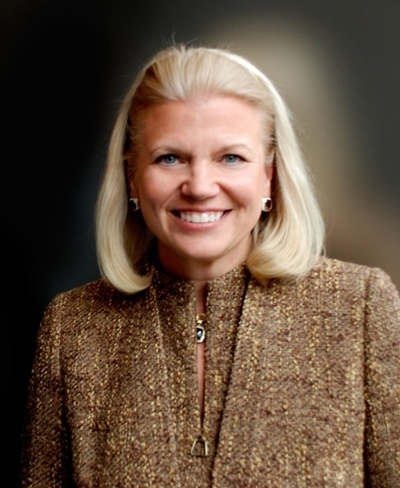 In recognition of her leadership, Ms. Rometty was honored with the Carl Sloane Award 2006, given by the Association of Management Consulting Firms. In prior leadership roles, Ms. Rometty served as general manager of IBM Global Services, Americas, as well as general manager of IBM's Global Insurance and Financial Services Sector. Ms. Rometty is a leader in diversity initiatives including IBM’s Women in Technology Council and the Women's Leadership Council, and is one of the senior sponsors of the Women's Executive Council. She is a frequent speaker at industry and business conferences, and has been named to Fortune magazine's “50 Most Powerful Women in Business” for seven consecutive years, including most recently in 2011. Ms. Rometty serves on the Council on Foreign Relations; the Board of Trustees of Northwestern University; and the Board of Overseers and Board of Managers of Memorial Sloan-Kettering Cancer Center. She holds a Bachelor of Science degree with high honors in computer science and electrical engineering from Northwestern University.